1.38 ACRES – 3 Bedroom Luxury Ocean View Home With Pool Located Las Olas Gated Community!!! 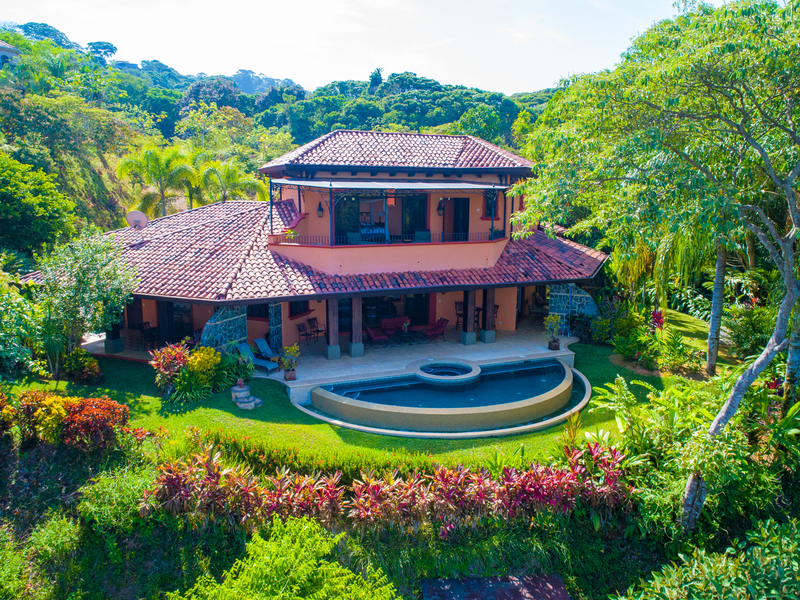 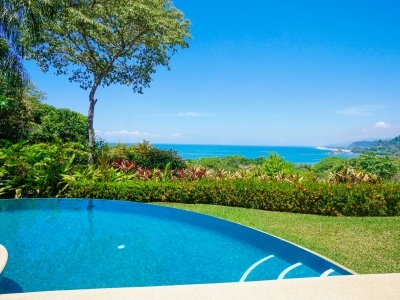 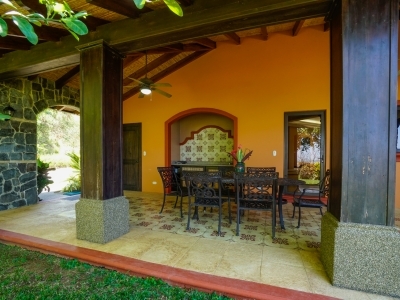 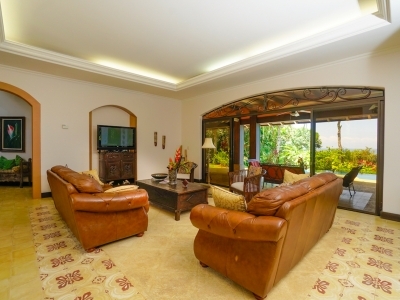 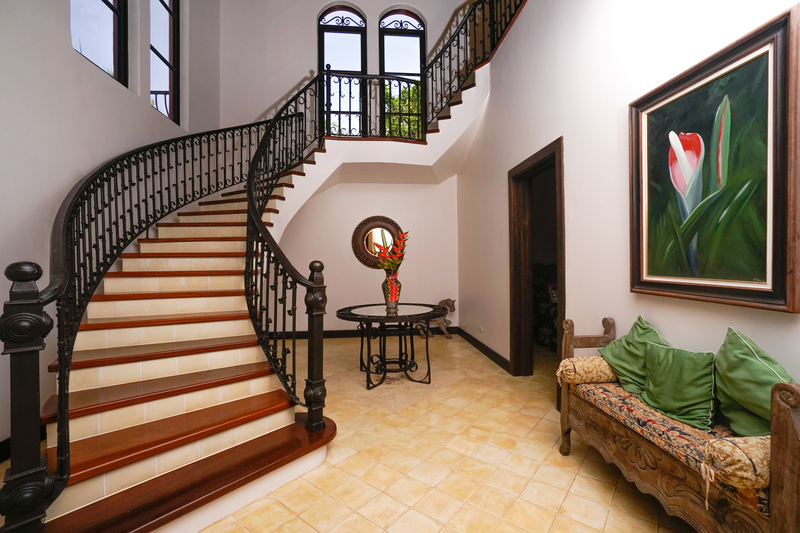 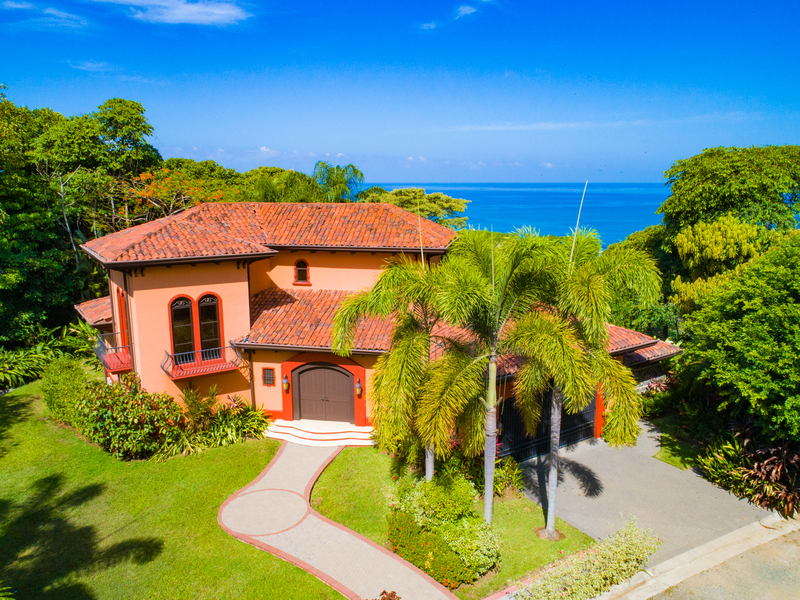 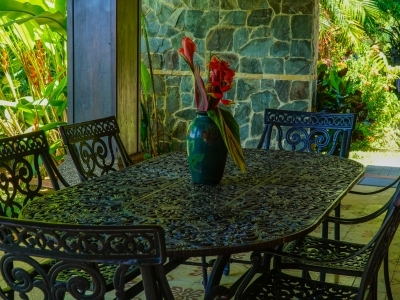 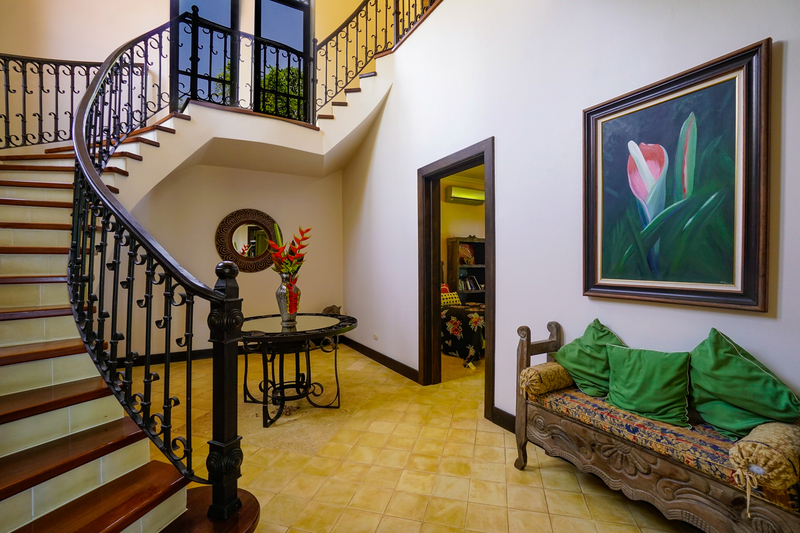 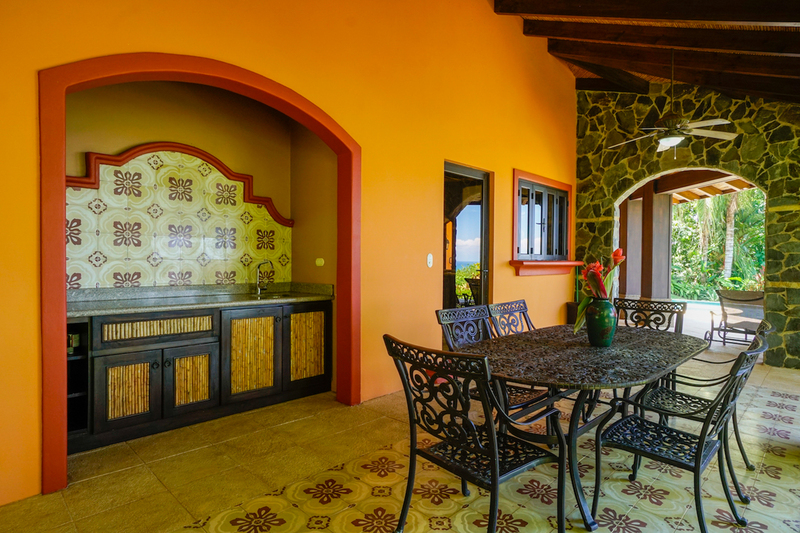 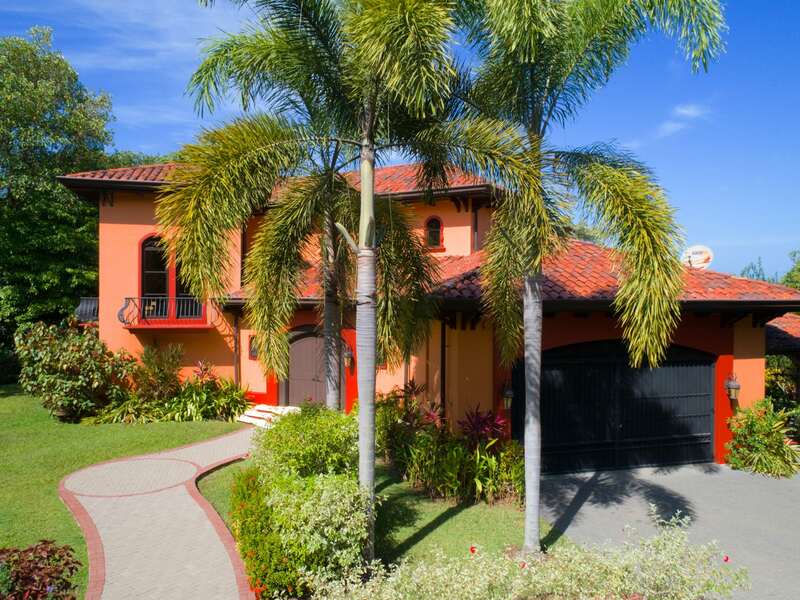 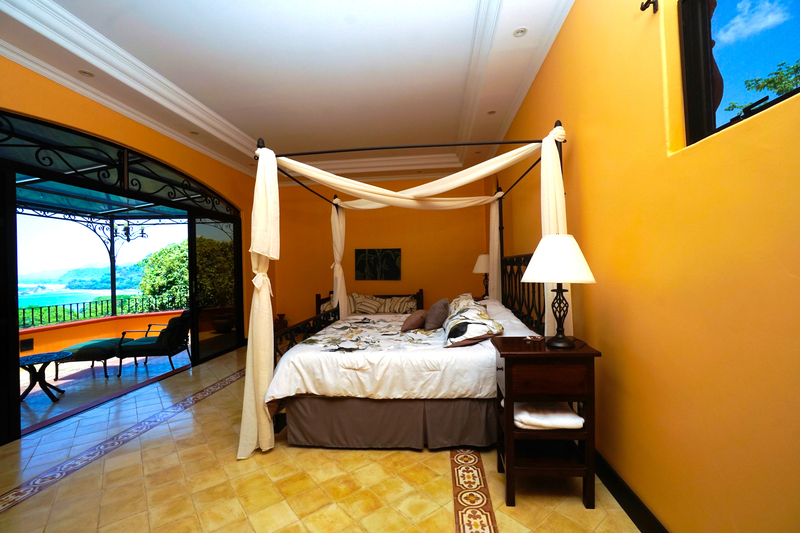 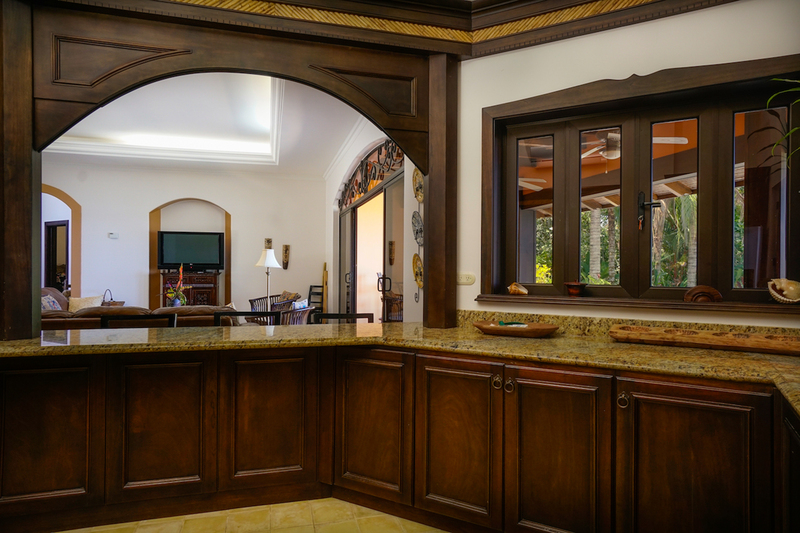 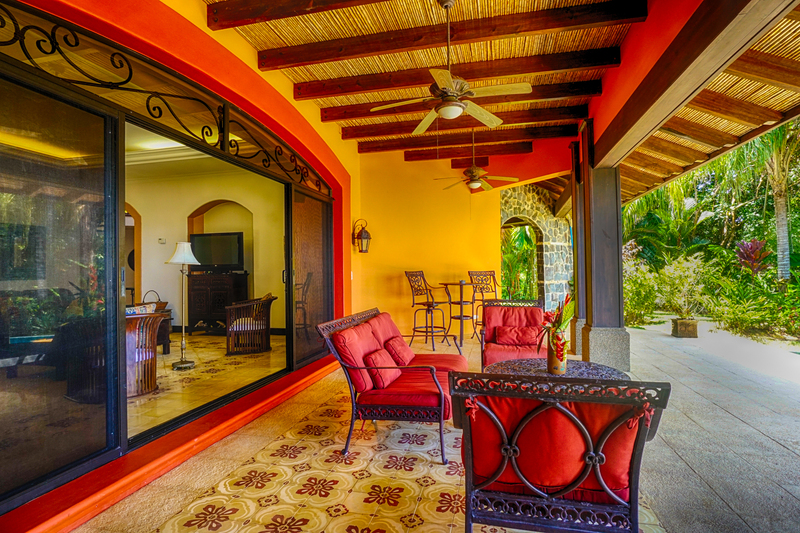 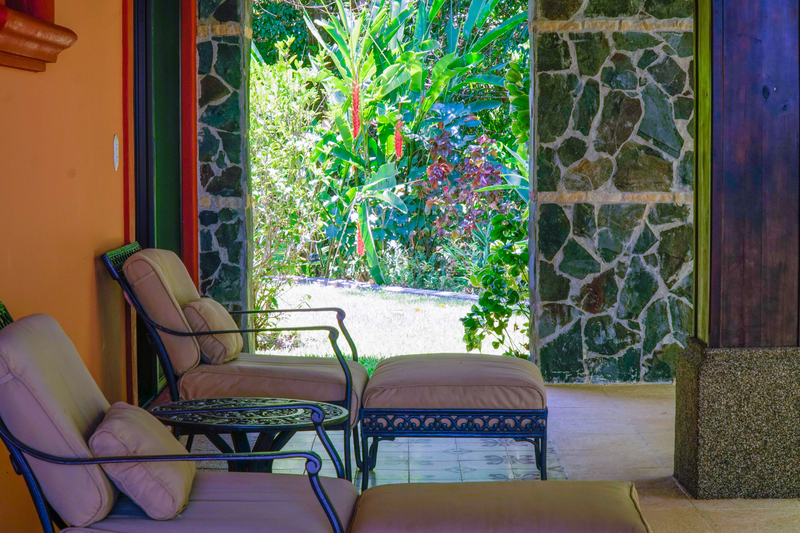 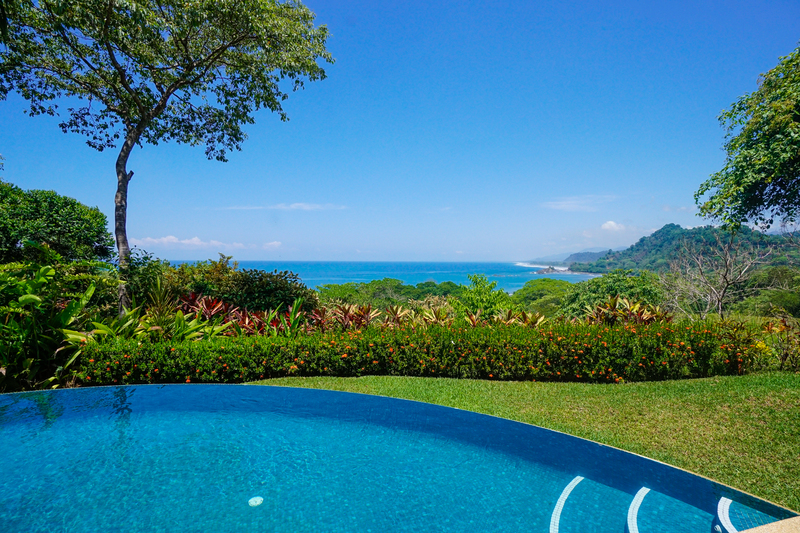 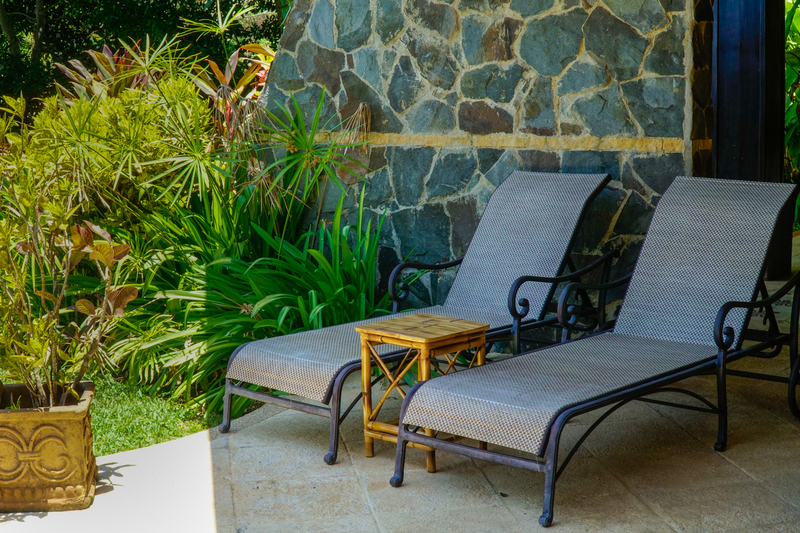 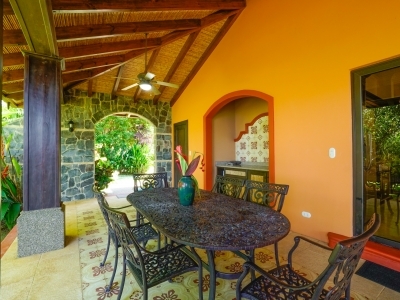 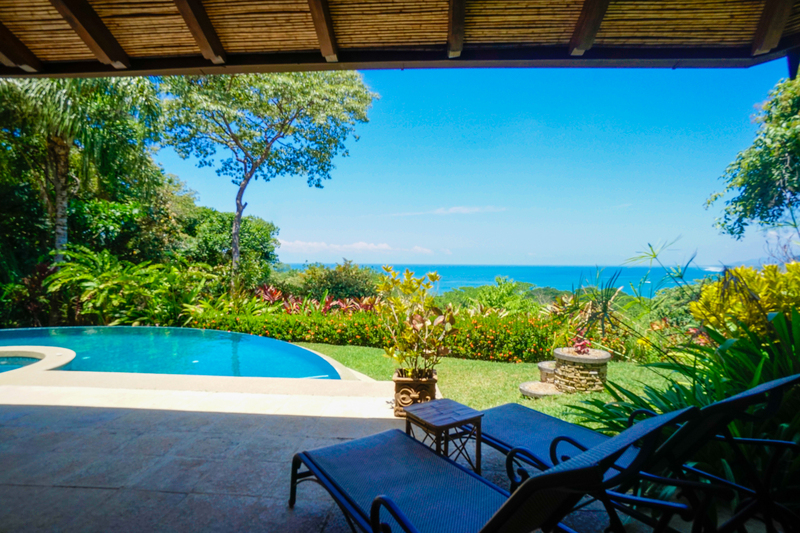 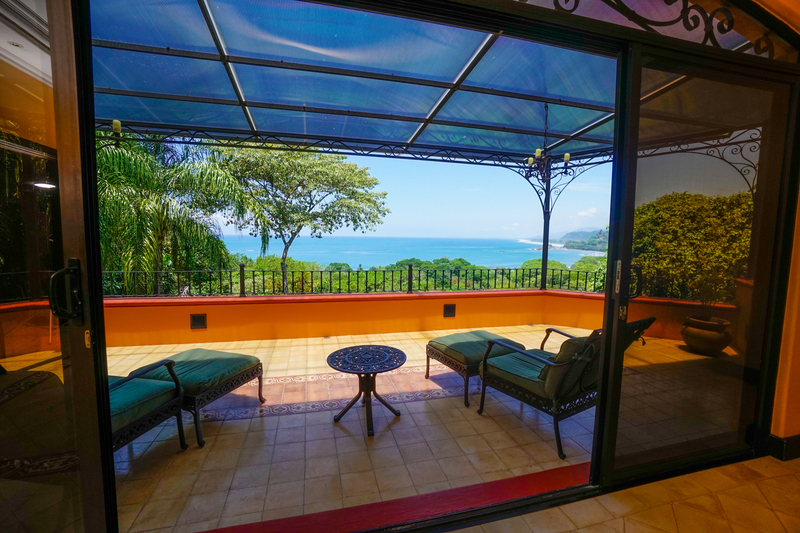 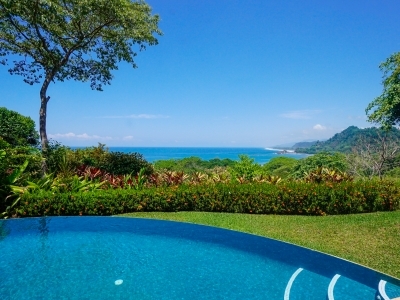 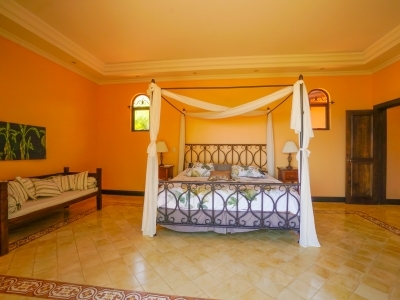 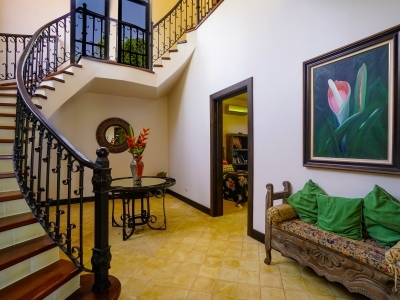 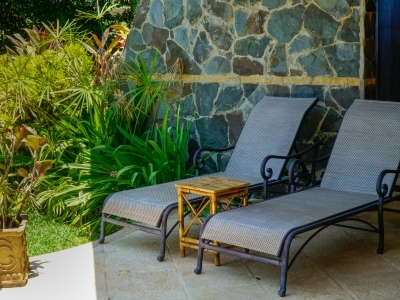 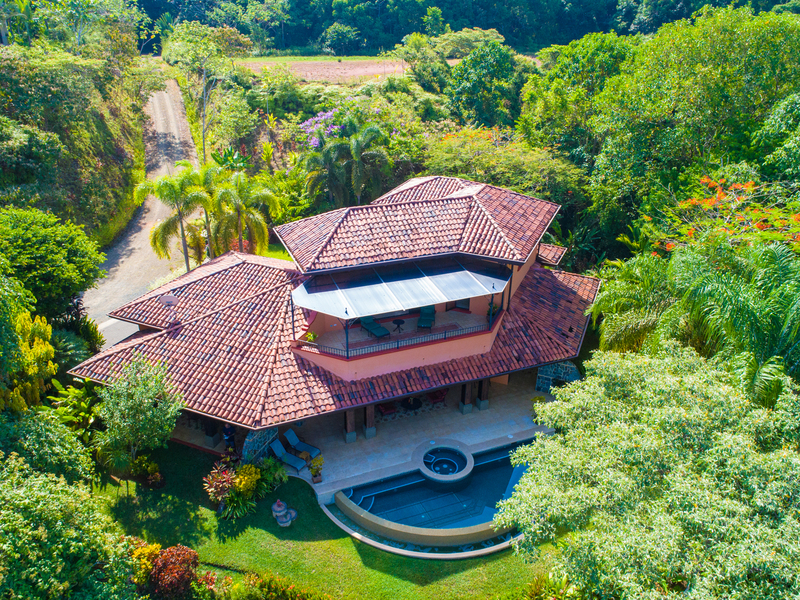 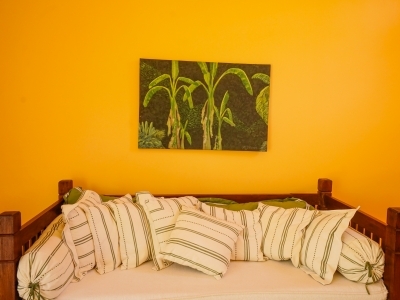 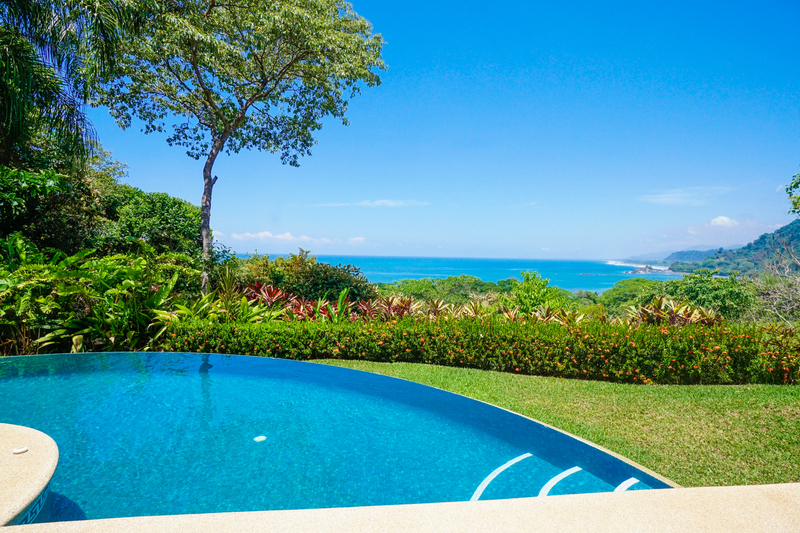 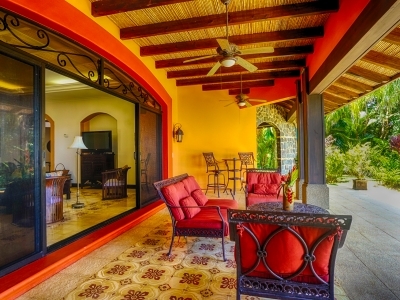 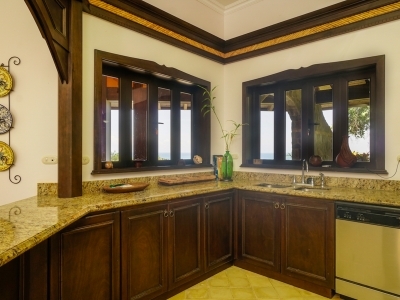 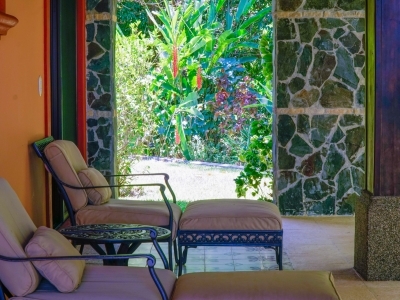 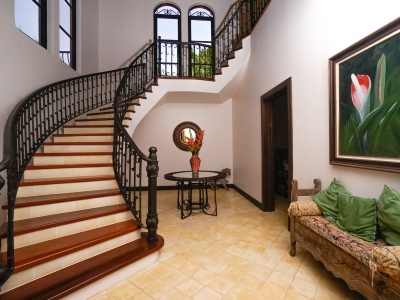 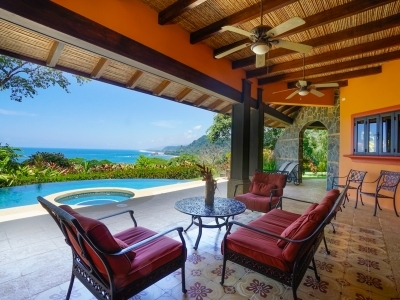 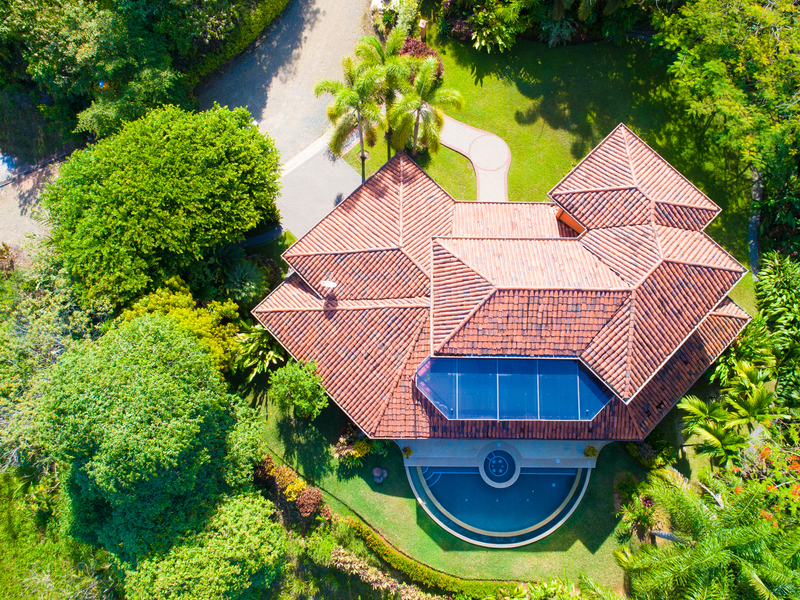 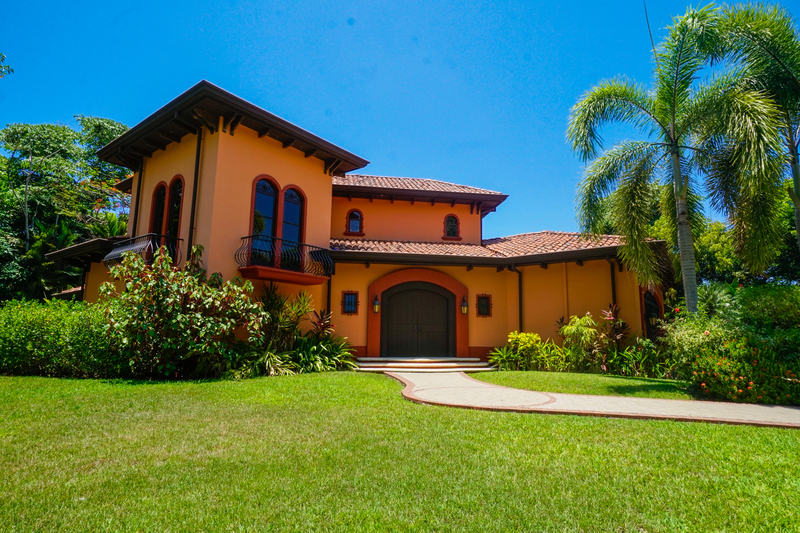 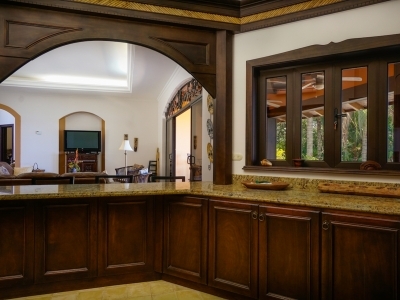 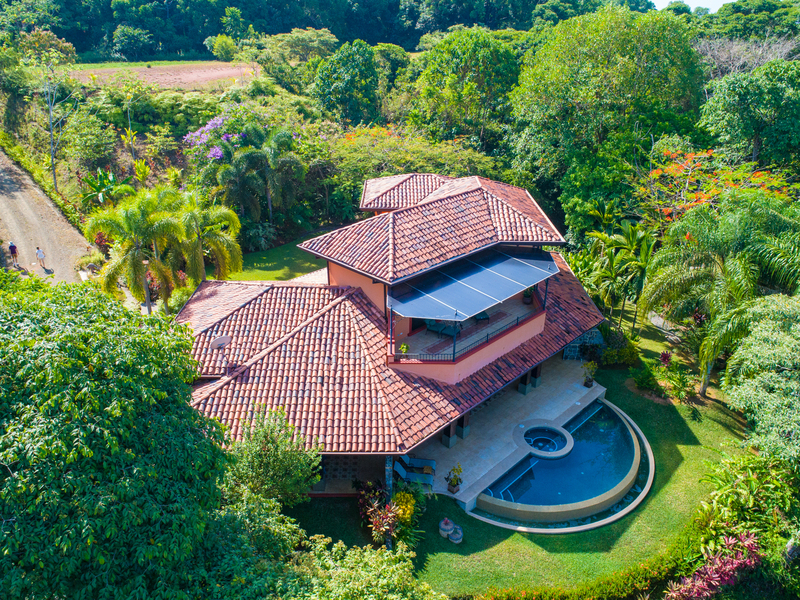 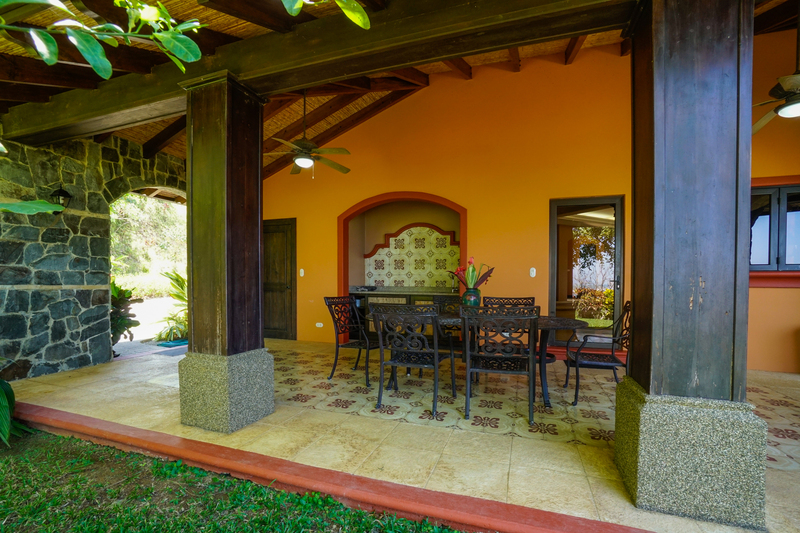 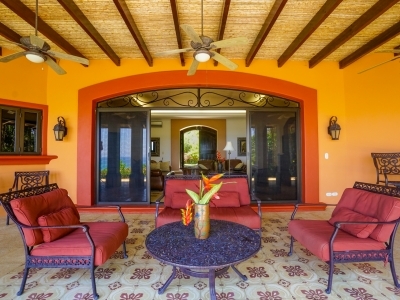 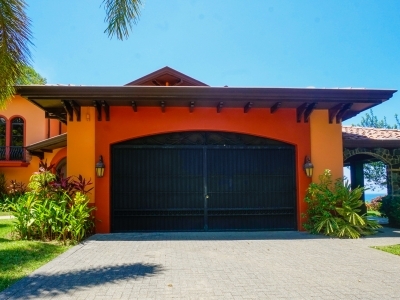 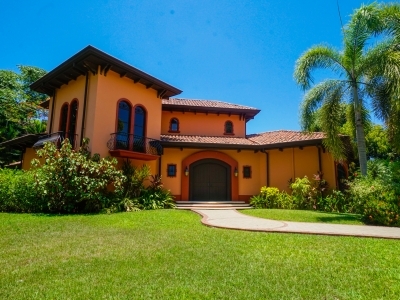 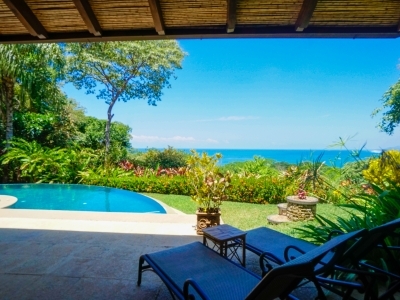 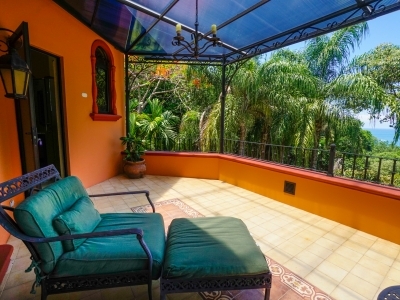 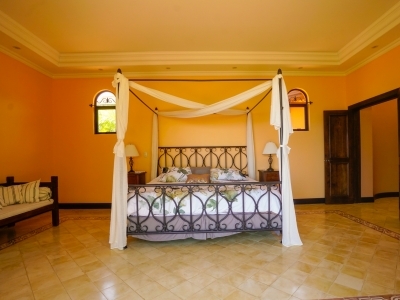 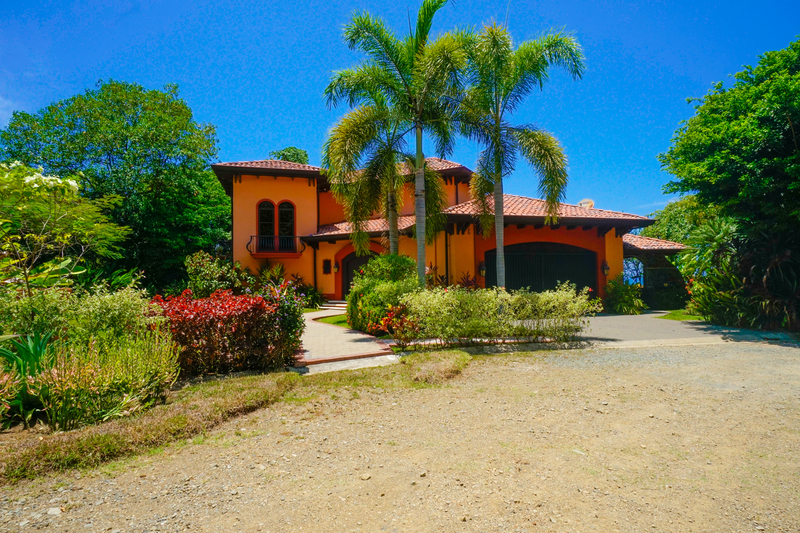 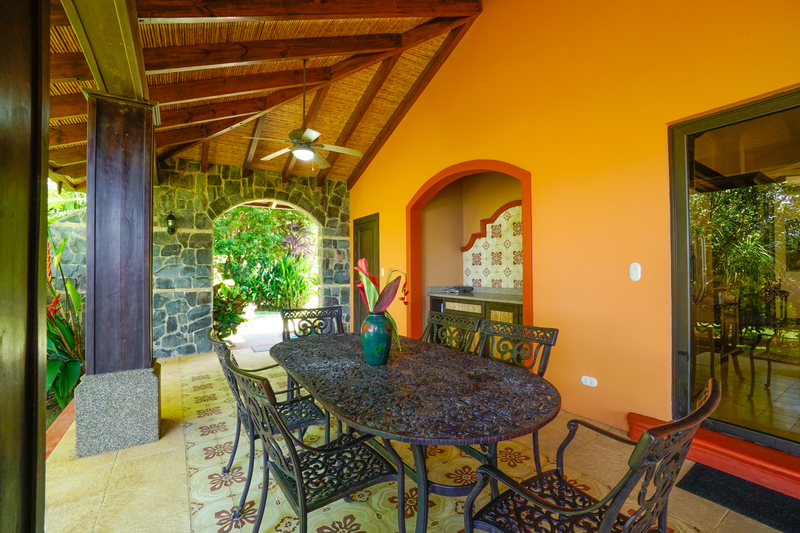 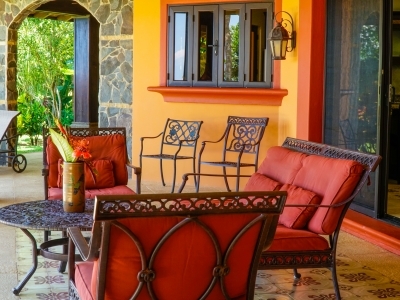 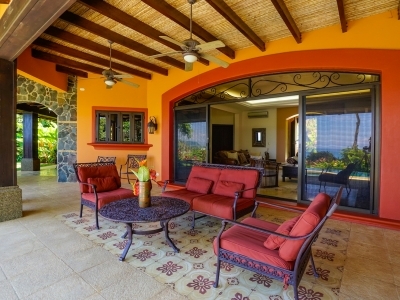 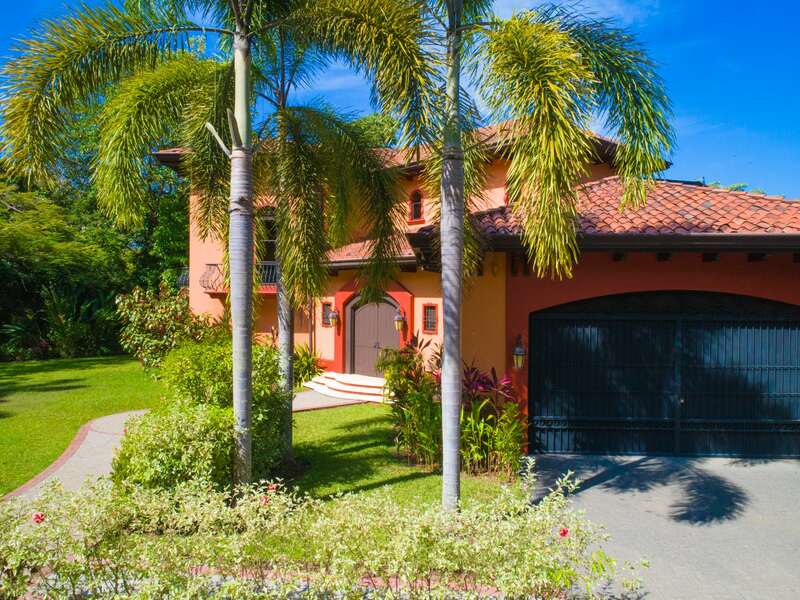 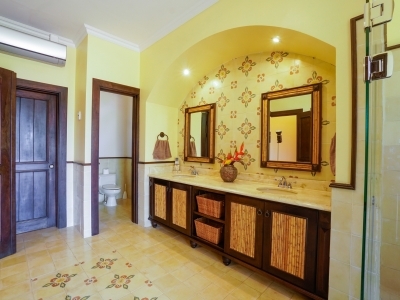 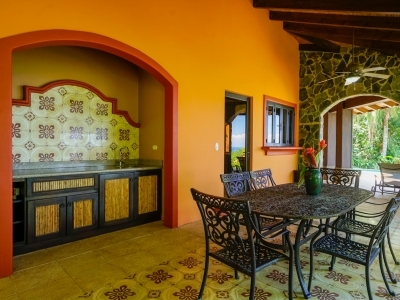 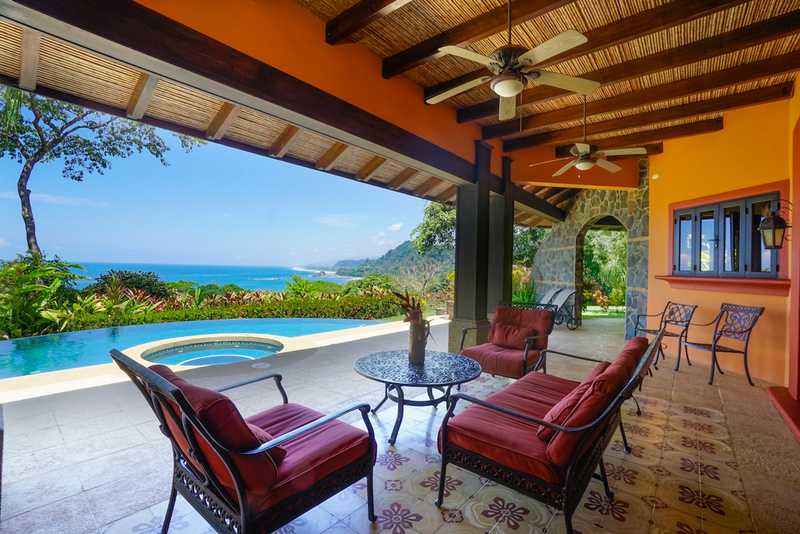 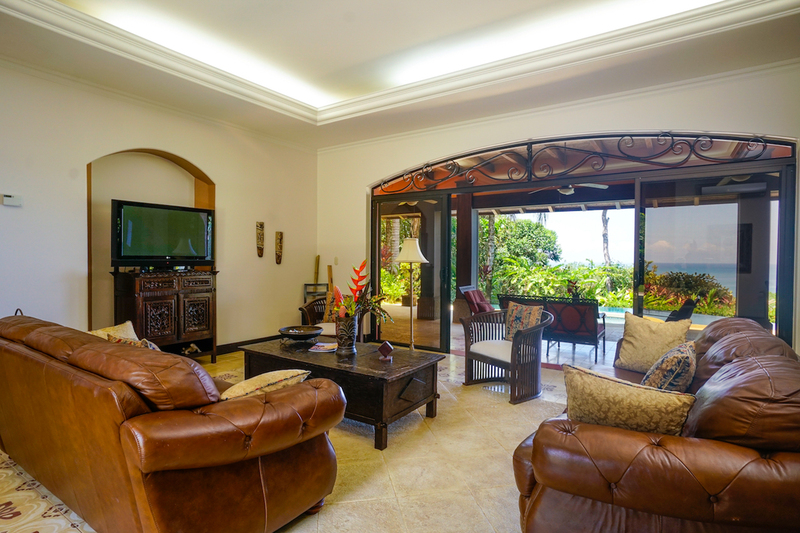 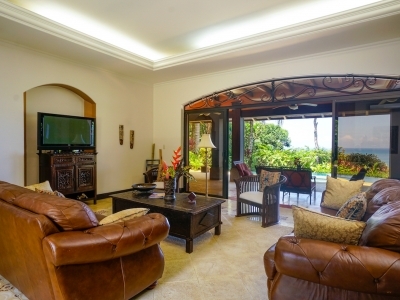 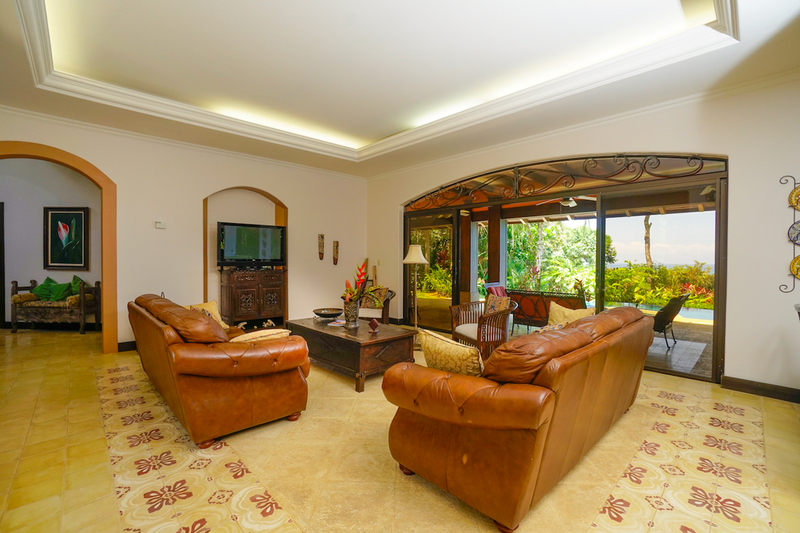 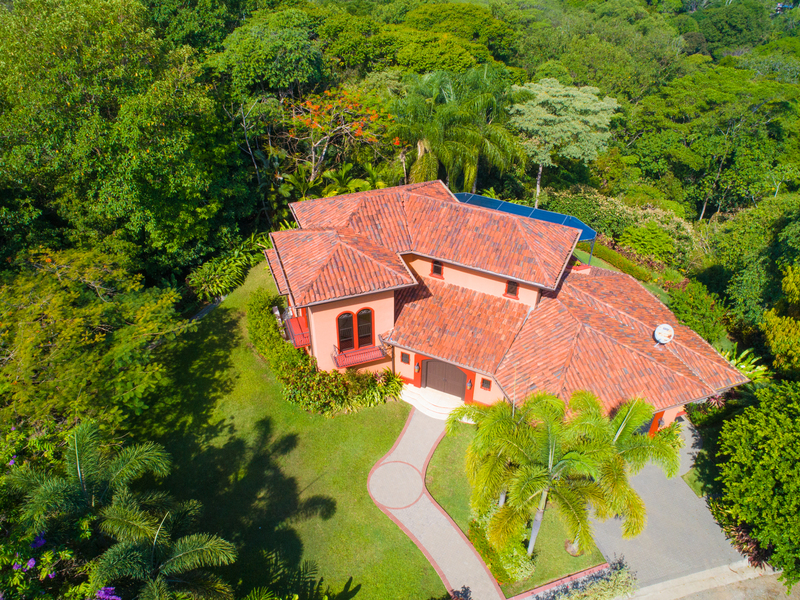 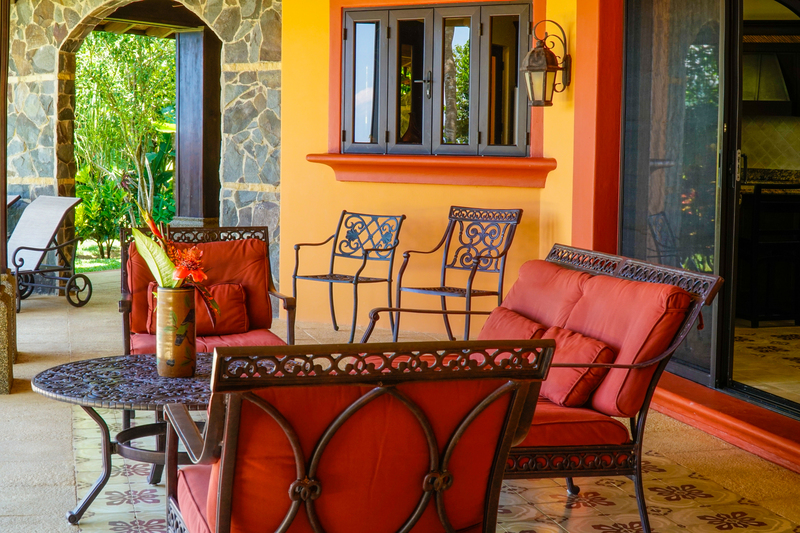 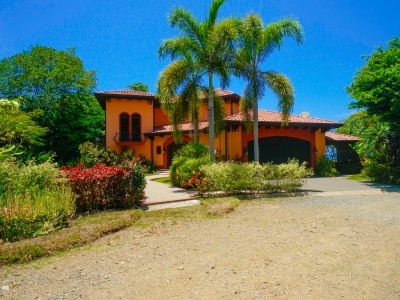 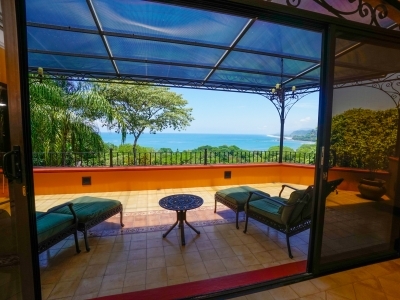 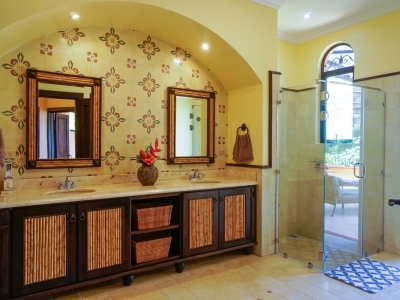 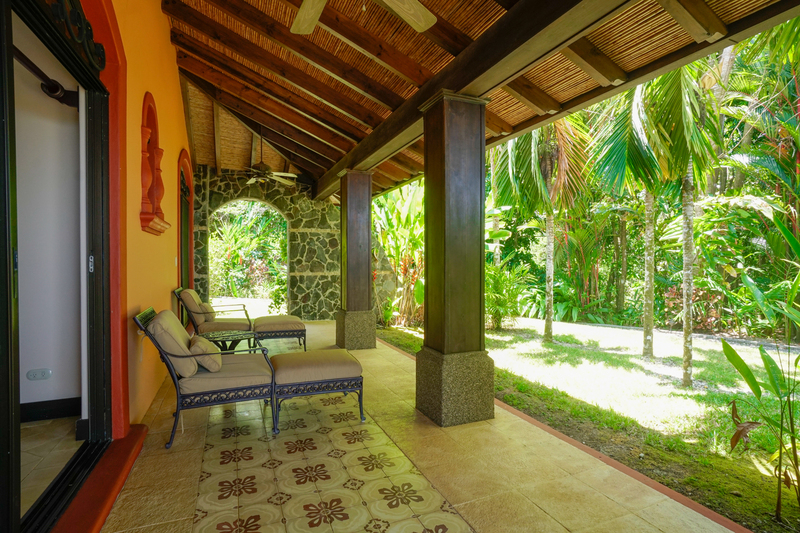 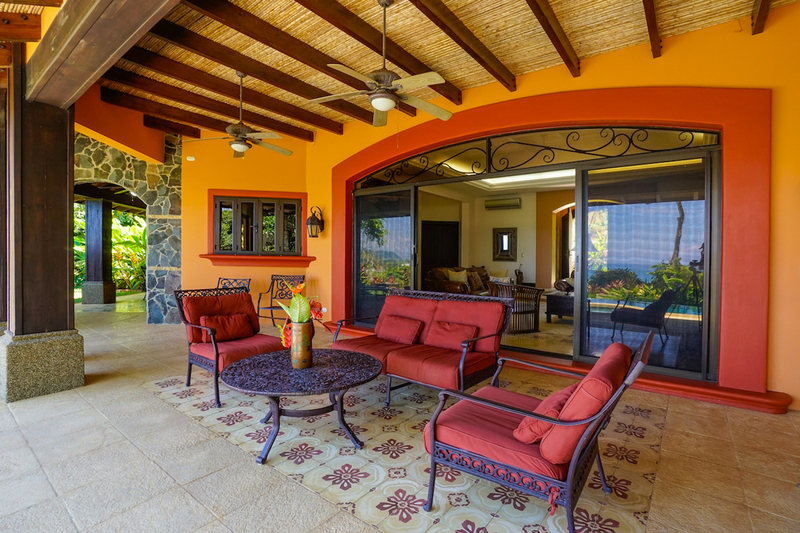 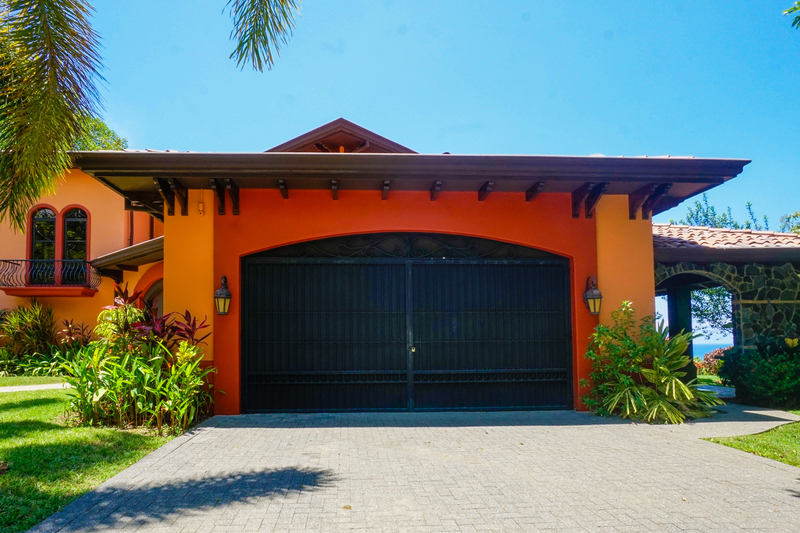 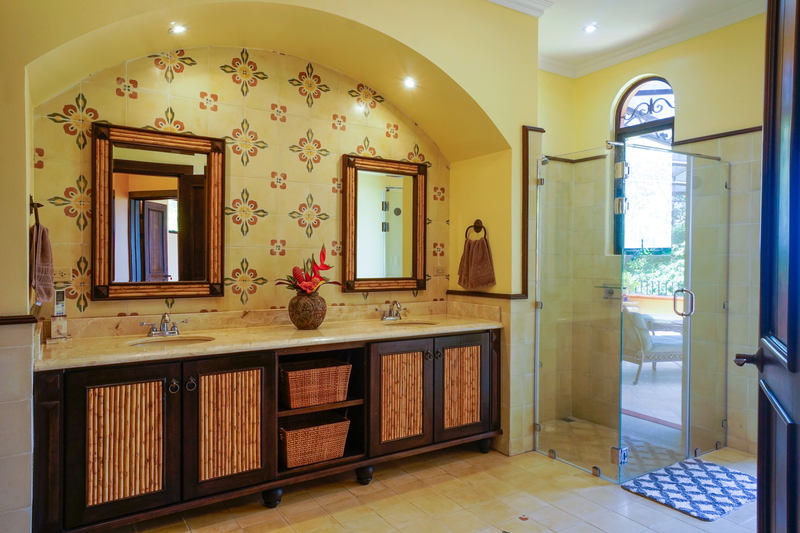 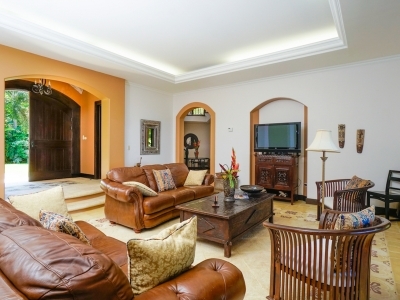 This amazing property is beautifully located in Las Olas gated community in Dominicalito, Costa Rica. 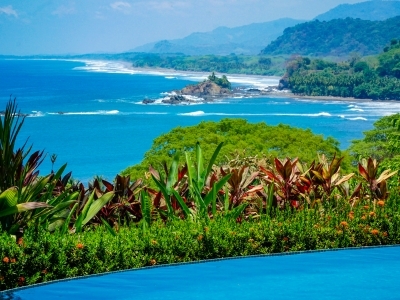 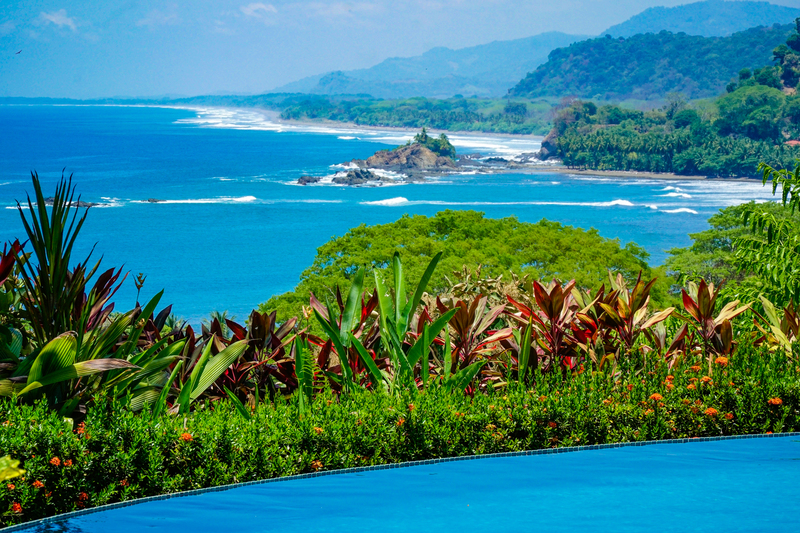 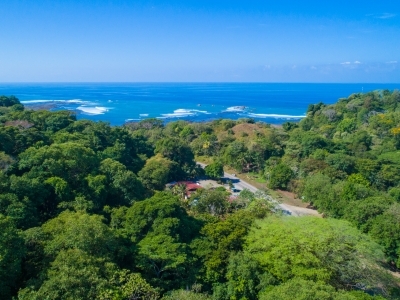 It is located in front of fascinating South Pacific Ocean, breathtaking sunsets, beautiful white water waves and the daily fishing boats in the bay and amidst amazing jungle canopy and views of monkeys, macaws, parrots and sloths that will entertain you with their beautiful colors and tree activities. Aside from the natural South Pacific Ocean views, the mountainous surrounding gives it a high value of pleasure and fun and private luxury home. 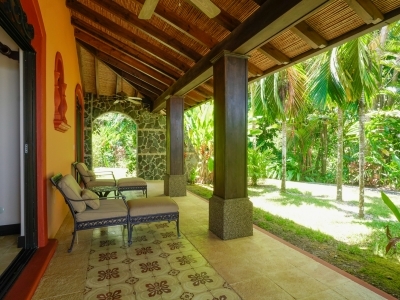 The property has a great beach below that is walking distance from the home. 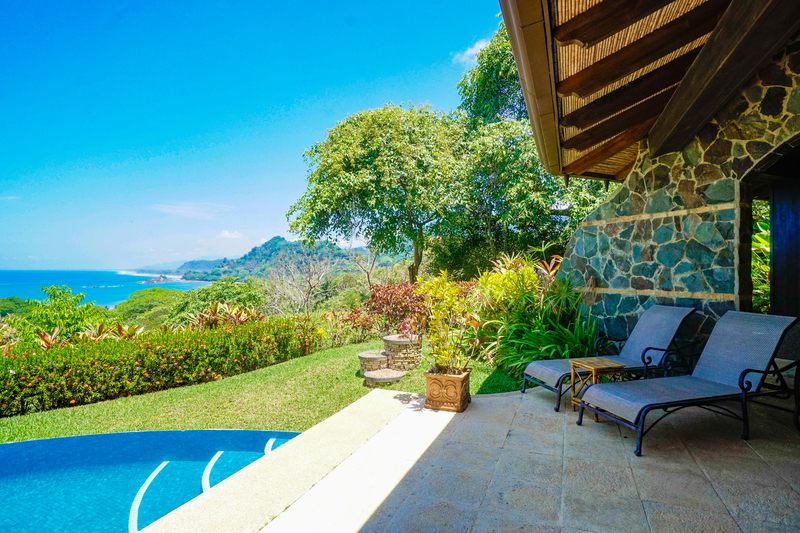 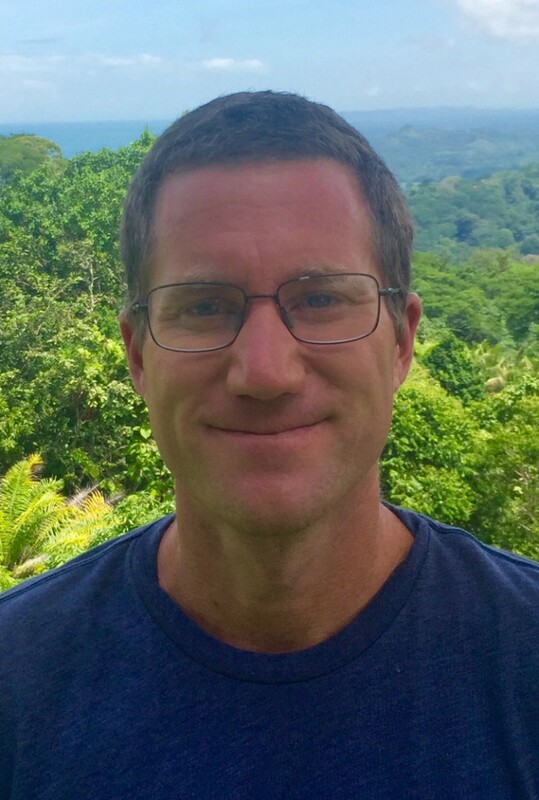 The property gives the opportunity for learning how to surf, and snorkel, and other adventurous recreational and sporting activities as it opens to an infinite water pool of the South Pacific. 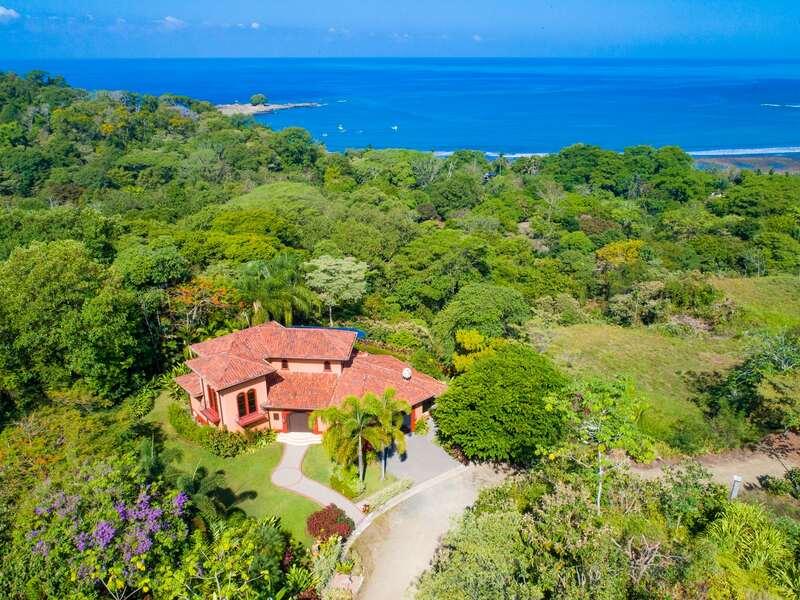 It is located in a development area with other luxury homes and known for great access and amazing views of the white oceans, jungles, and mountains. 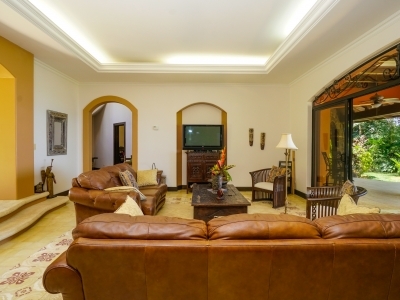 Its proximity to schools, shops, transport and other necessary facilities makes it topnotch for wise investments. 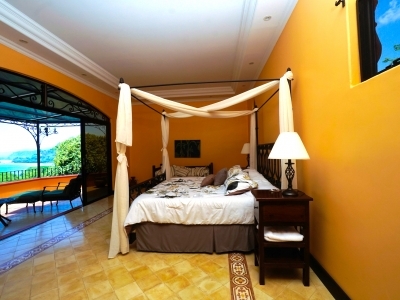 It is a suitable choice for nature lovers, adventurer, and tour enthusiasts. 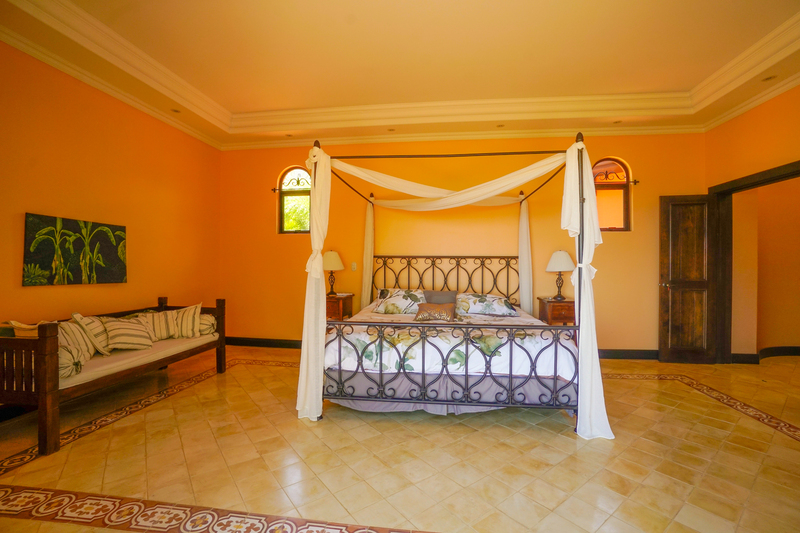 Its historic and romantic setup makes it a hotspot for families and expatriates as it provides an away-from-it-all setting. 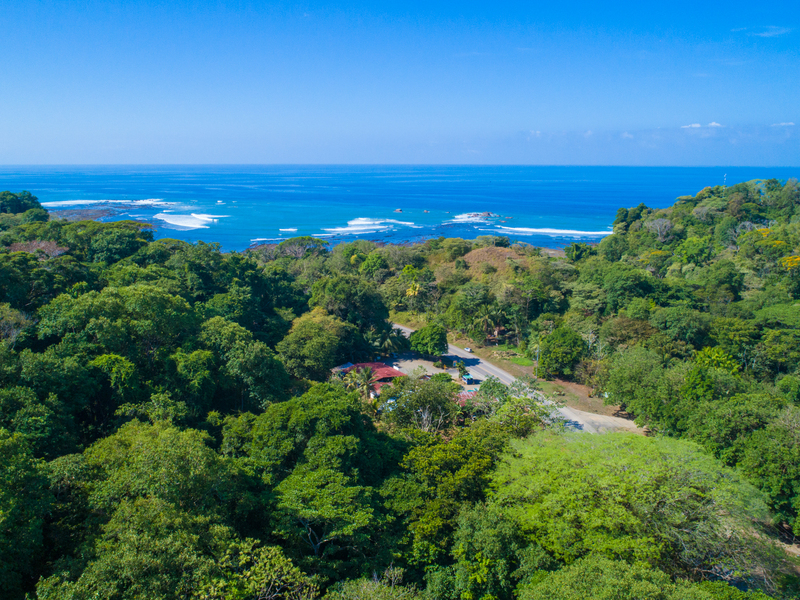 With numerous attractions such as health/beauty spa, restaurants, ecotourism, bird watching, sight-seeing, walking, whale watching, wildlife viewing, horse-riding, etc. 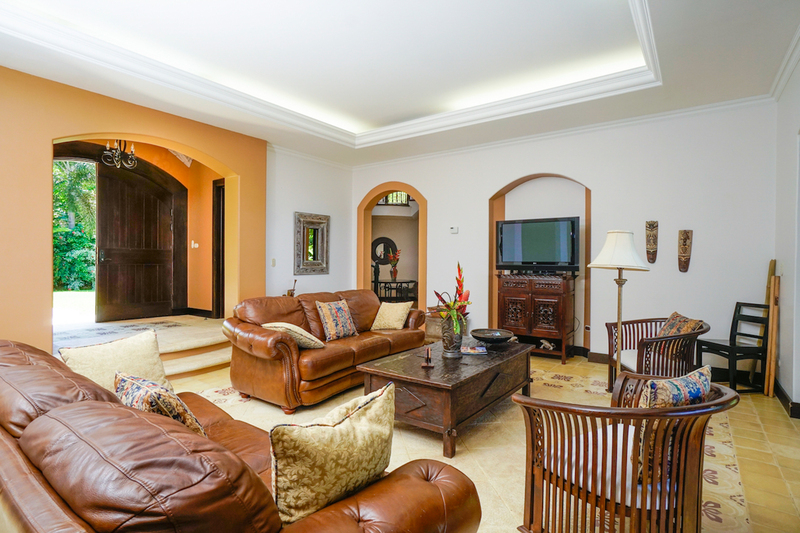 Apart from the appealing external environment where the property is located, the interior is super suitable for comfort and maximum luxury utility. 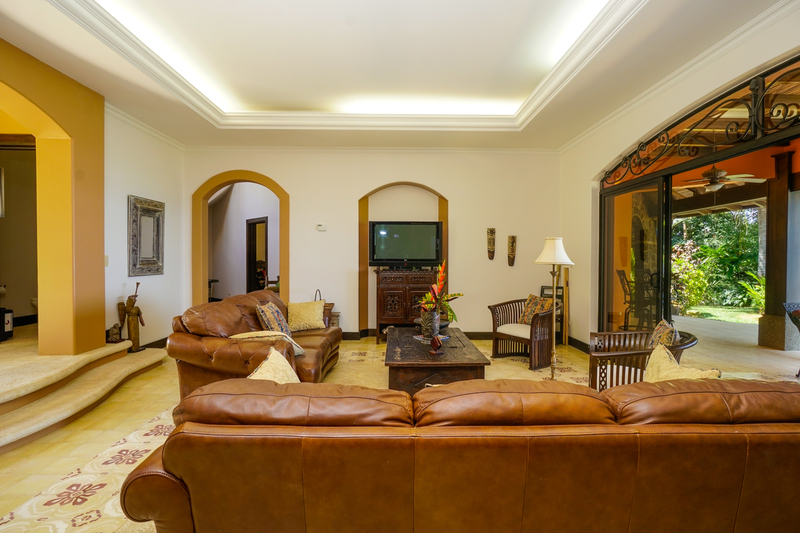 It has fully fortified amenities such as full internet access, satellite and cable, air conditioning, swimming pool and a befitting outdoor driveway parking for at least two vehicles. It has three massive bedrooms with six sleep spaces, one the first floor is the queen bedroom with nightstand lamps, chest drawers and large closet with shelves, with the second floor has the master suite with a King sized bed, dresser, two night stands with lamps, loveseat, large covered lanai with seating, for outstanding comfort, the master bedroom has a bathroom with double sinks, walk-in shower, large closet with shelving. 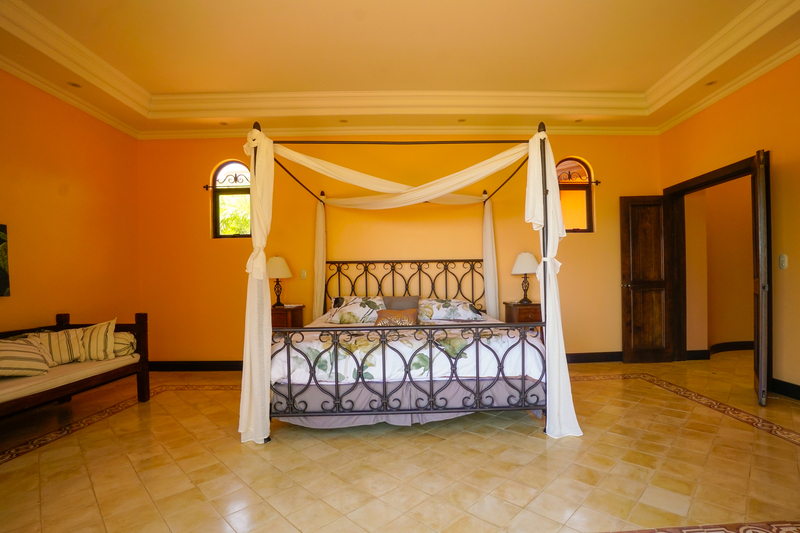 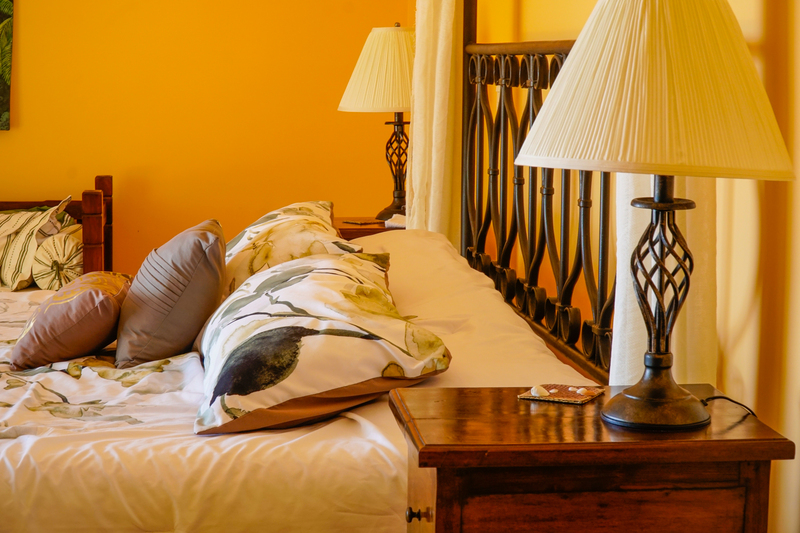 Each of bedrooms has a brand new state of the art Panasonic Air Conditioning individually controlled in each room for optimum and individual comfort. 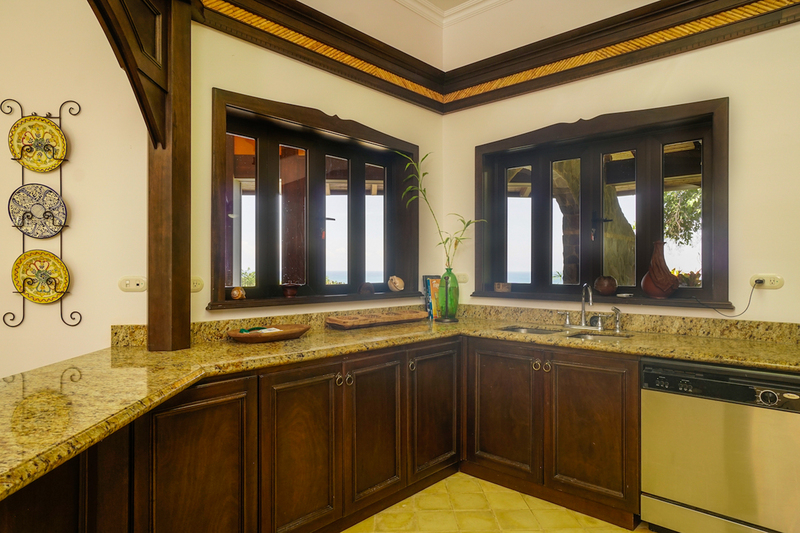 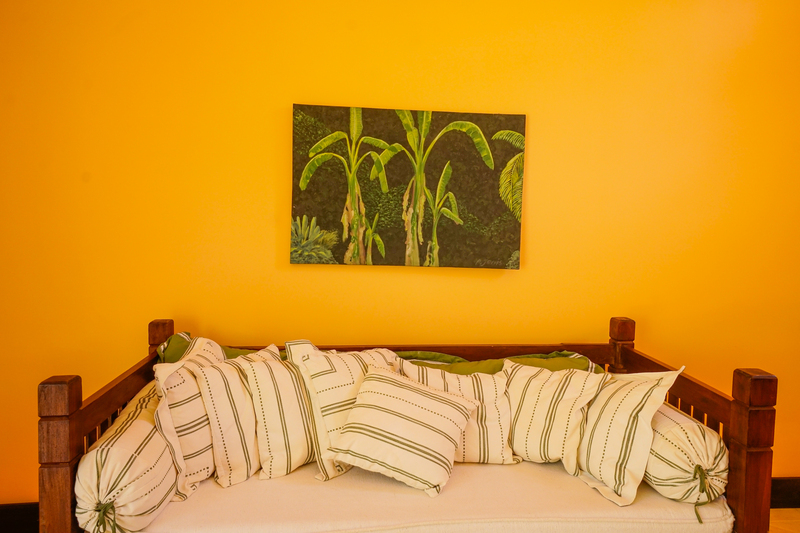 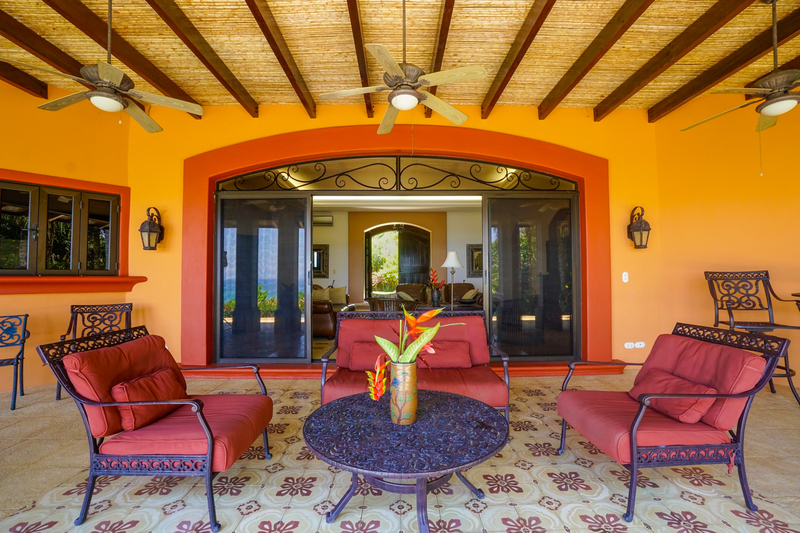 The balcony of the second-floor master suite and large wrap around the Lanai gives ample seating for your comfortable enjoyment of amazing views of the South Pacific Oceans and wild flora and fauna. 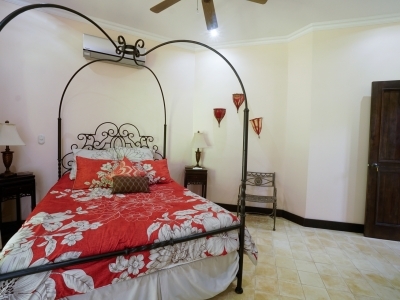 The last bedroom is a double/twin bedroom, it could be used as the kid’s bedroom since its also large and spacious. 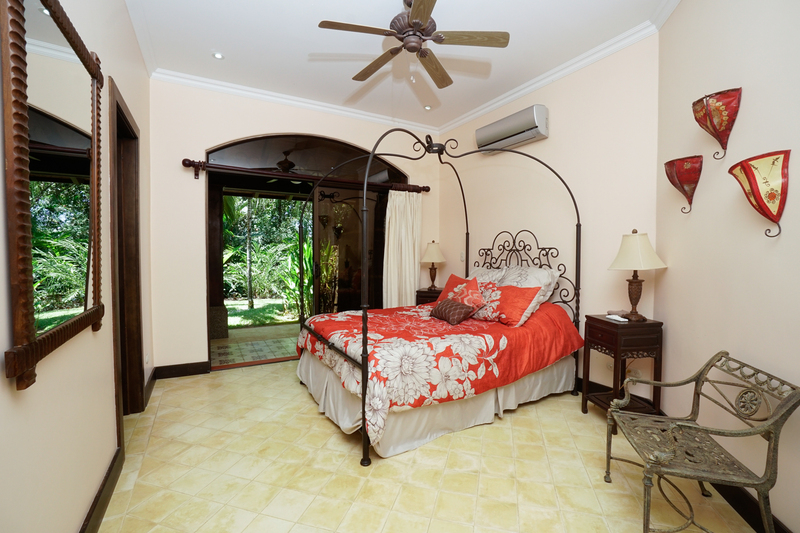 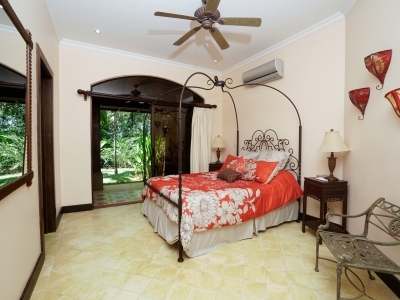 On the first floor are a half bath, a Jack-and-Jill bath, walk-in-shower and outdoor shower. 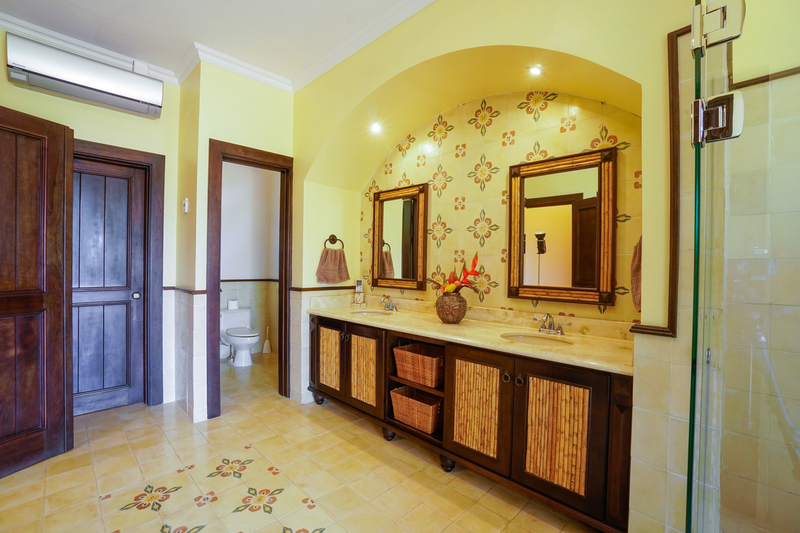 The second floor has the master bath. 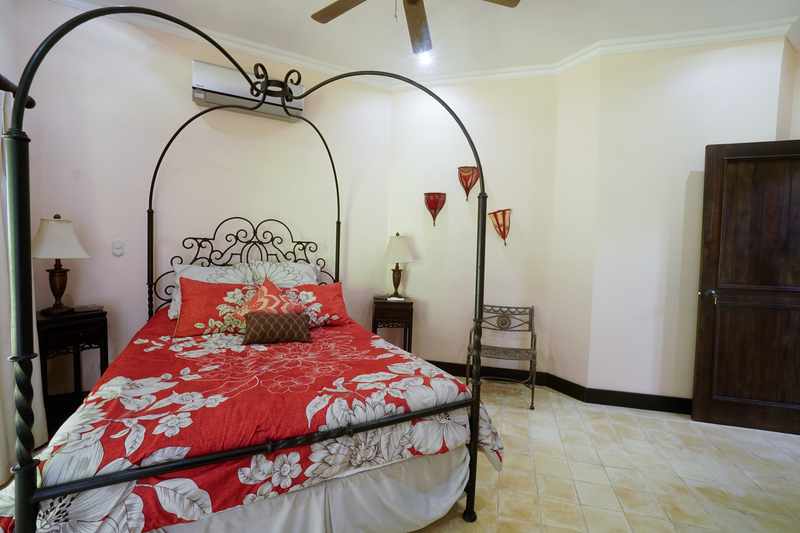 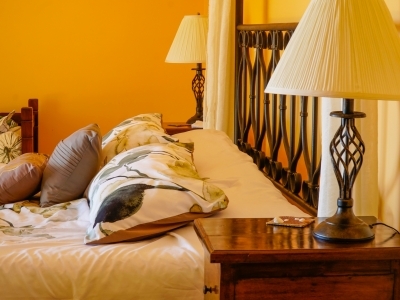 Apart from the luxury-spiced bedroom, it has other facilities like hair dryer, iron and board and washing machine. 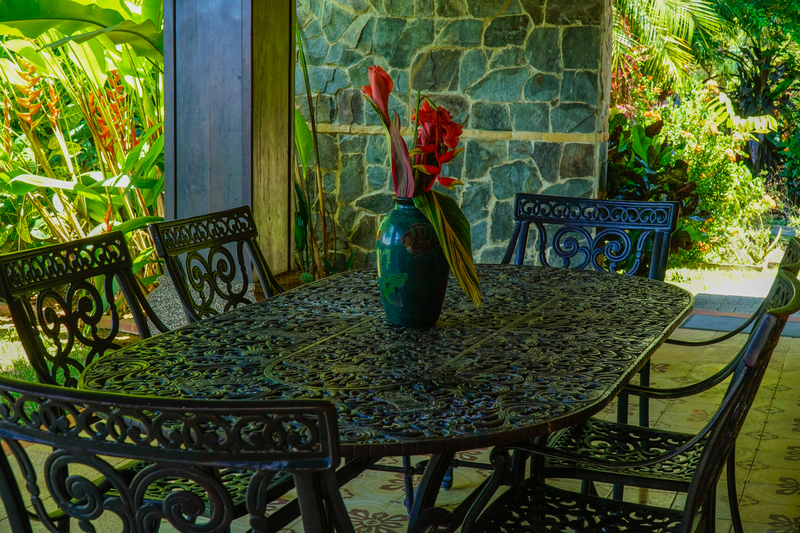 The Dining is split between the indoor kitchen area and the outdoor Lanai area and can comfortably sit eleven people. 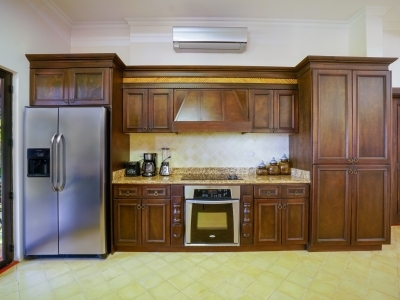 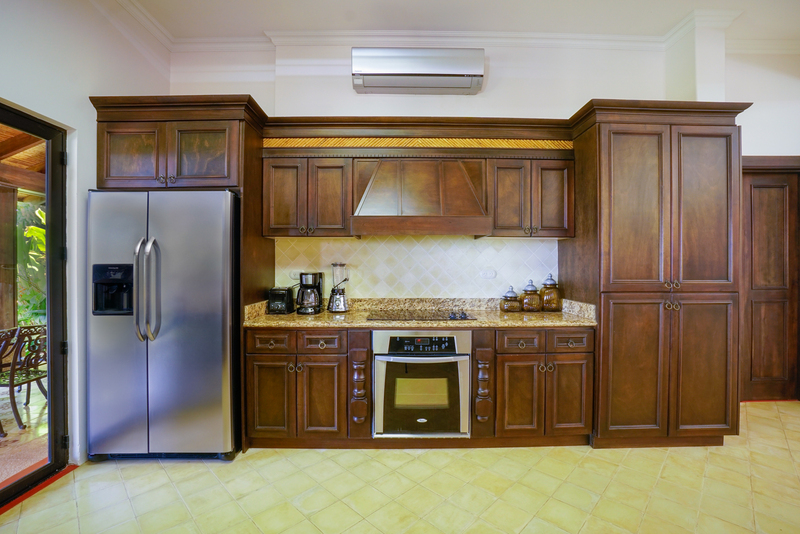 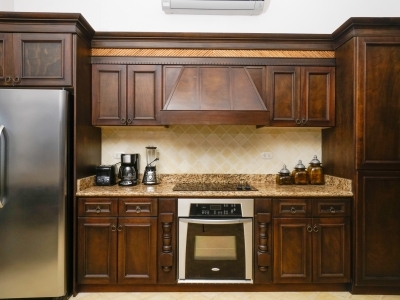 It is strategically located to ease movements and access to the kitchen. 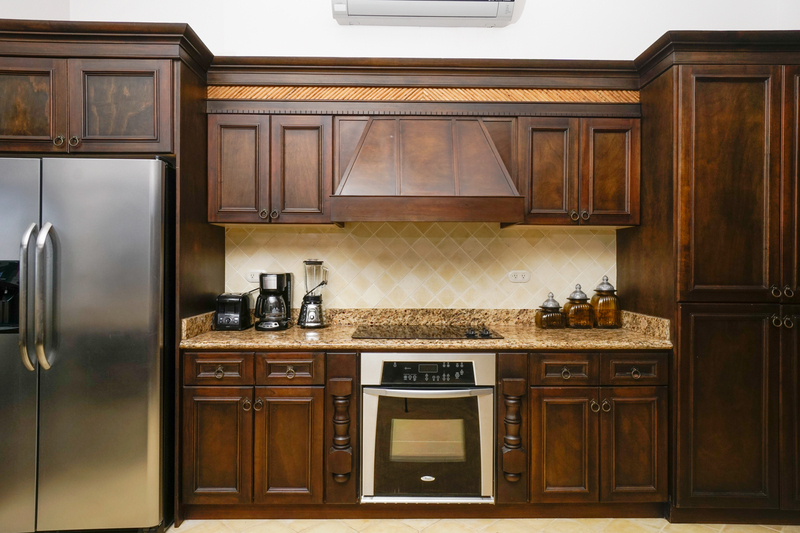 The fully equipped gourmet open floor kitchen is ready to use workplace, with dishwasher, dishes, and utensils, microwave, oven, side by side refrigerator with filtered water and ice maker, toaster, stove, and coffee maker. 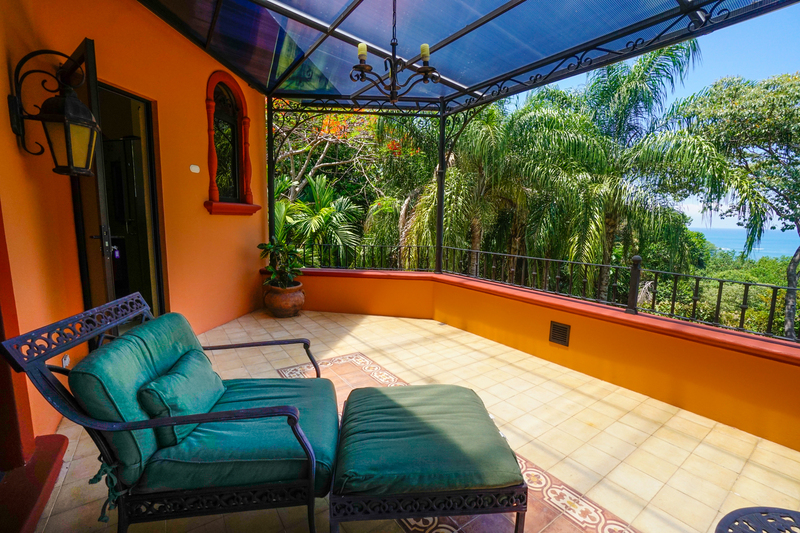 This property is outstandingly good for residence and has a huge rental potential for investments. 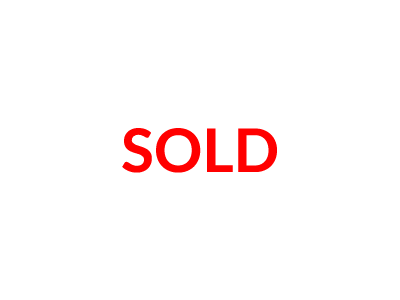 It is ready to use and lacking nothing.